Underground utilities are essential for our infrastructure and become a major part of almost every project. 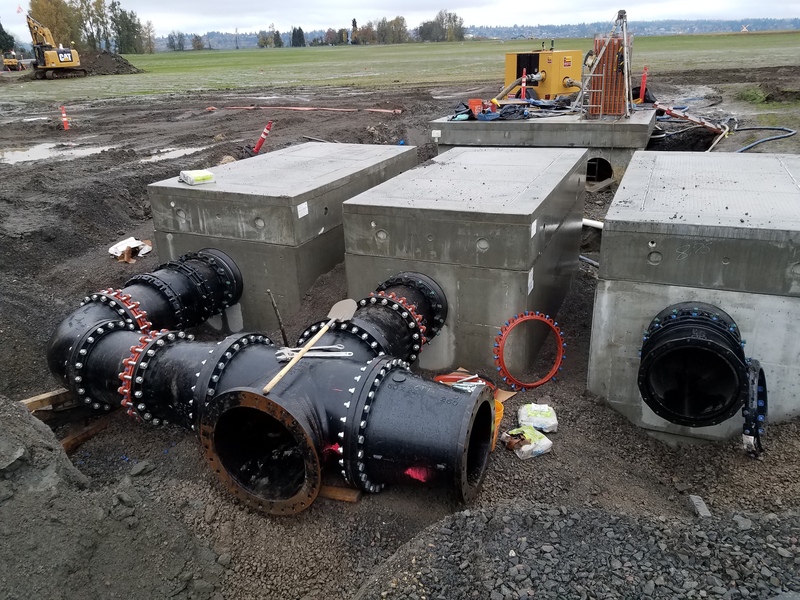 K&E takes pride in the tens of thousands of underground piping miles we have installed for clients, cities and communities and are excited to stand behind the reputation we have earned in this facet of our industry. To ensure that each task is completed safely and successfully, our underground utility crews, foreman and superintendents focus attention on completing pre-task Job Hazard Analysis (JHA), proper Competent Person training, OSHA regulation training, shoring utilization training and more. You expect results and we ​safely provide.